Data: Coos County No Longer Has Highest Poverty Rate In N.H.
A photo of downtown Colebrook, taken in 2013. After years, even decades of trailing behind the rest of the state, Coos County may be headed in a better economic direction. New numbers from the American Community Survey, which is released each year by the U.S. Census Bureau, puts the percent of people living in poverty in Coos last year at 11.7%. That figure is slightly lower than the poverty rates for Belknap and Carroll Counties, which were 12.5% and 12.3% respectively, marking the first time Coos has not been last in the state in the three years of ACS reports. Phil Sletten, a policy analyst with the New Hampshire Fiscal Policy Institute, says Coos still trails in other economic measurements, such as median household income, though that number is also on the rise. “Seeing what appears to be an increase in median household income, and a decrease in the poverty rate, is encouraging news for Coos County,” says Sletten. Rockingham County saw the lowest poverty rate at 3.6-percent, followed by Strafford County at 6.2-percent. Along with the highest overall poverty rate, Belknap also had the highest percent of children under age 18 living in poverty, with 1 in 4 meeting that threshold. Coos, at 23.7-percent, and Carroll County at 22.1-percent, were close behind. Sletten cautions that ACS “point estimates” are based on a smaller sample size than the entire census, and are therefore likely to shift more from year to year. You can read the N.H. Fiscal Policy Institute's analysis of the ACS numbers here. Several hiker-generated petitions have started in opposition to plans to build a hotel near the summit of Mount Washington, the Northeast's highest peak. An online petition started by New Hampshire hiker Rachel Lewis has more than 2,700 signatures. Another asks hikers to contact the Coos County Planning Board to share their concerns. 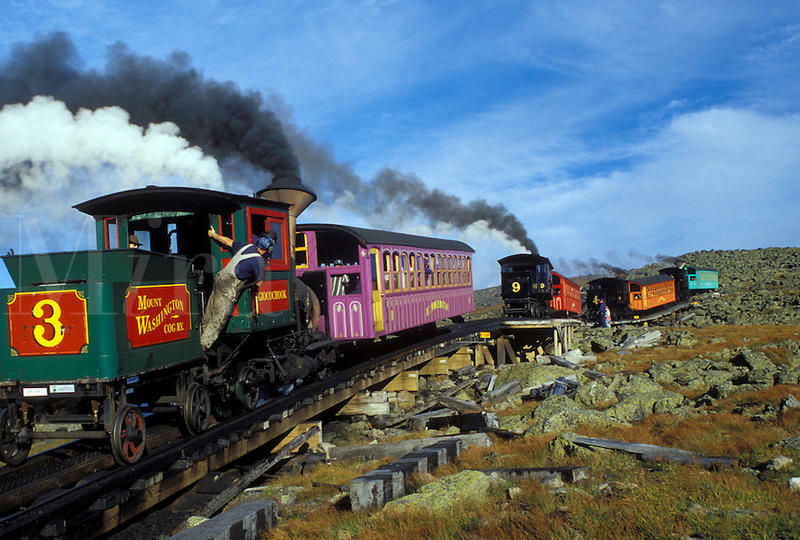 The owners of the cog railway that runs up the mountain want to build the hotel. A mobile clinic for veterans in the North Country has seen a few dozen patients since it opened in late October. The clinic is set up in the parking lot of the Androscoggin Valley Hospital in Berlin. A doctor and nurse team there have been able to give out flu shots and other treatments. VA spokesman Rick Salgueiro says there are about 1,000 veterans in the Berlin area who could possibly avoid a long trip to the VA hospital in White River Junction, Vermont. "We wanted to rapidly deploy primary care into the Berlin area based on what veterans are communicating they want," he says. 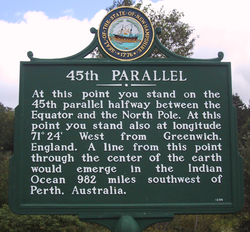 If you pass through the northern New Hampshire town of Stewartstown and Clarksville, you may notice signs informing you that you are standing on the 45th parallel, the halfway point between the North Pole and the equator. Such signs appear in quite a few places along the 45th parallel, but some are farther north and some farther south than others. The 45th parallel, in other words, is a fuzzy line, and in this week’s Granite Geek column for the Concord Monitor, David Brooks explains why the line is so difficult to nail down—and why so many people insist upon trying.